A chatbot is an artificial intelligence (AI) software that can simulate a conversation (or a chat) with a user in natural language through messaging applications, websites, mobile apps. Chatbots are personal virtual assistants that actually assists your clients. We develop any type of ChatBots according to our clients requirements in all fields like. Educational, E-Commerce, Banking, Trading, News, Sales and Marketing, HR and Operations, Customer Service, Food, Weather etc. If you remain busy all the time in managing the routine operations at school and yet the things doesn't get moving the way they should, then its time to think about complete automation and adopt an expert solution which not only minimizes the burden of administration and teaching staff but also provides 100% support to its Management to help them grow their institution. 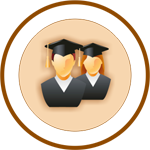 All Academic Softwares : We provide all types of academic softwares i.e. Reprt Card & Academic Management, Fees Managemane, Payroll Management, Attendance Management, Library Management, Exam Paper Management. Digital Wallet Mobile App : We develop school's own mobile app and list it in Google Play Store. It is a information and communication bridge between Parents and School. Printing Services : We provide printing services to institutes. 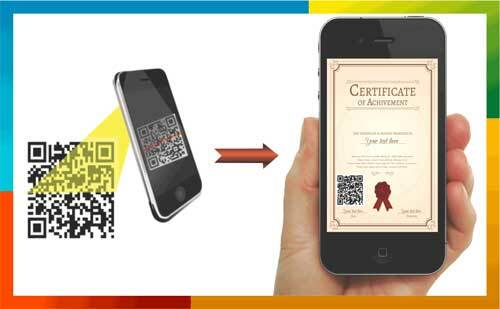 We print Digital Identity Cards & all other types of Identity Cards, Final Color Report Cards, Certificates, Calenders and all other type of academic transscripts. 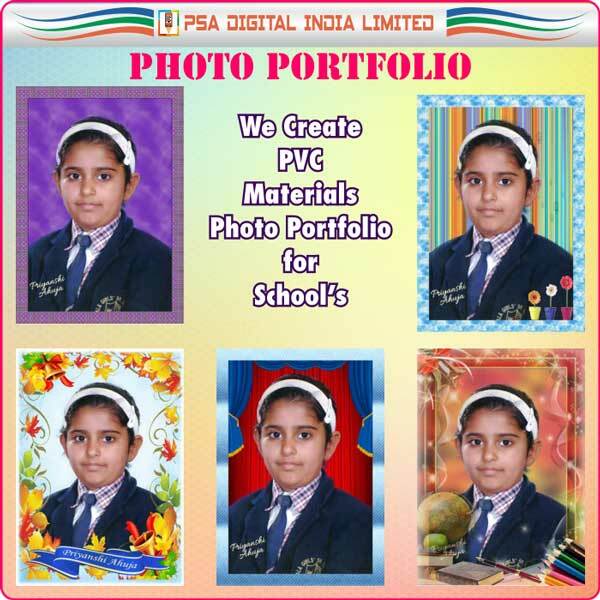 Photo Portfolio's : We organize professional photo session in school and create PVC type photo portfolio's of Students for their school memories. PVC type photo is a very unique, longlife and cost effective portfolio compare to traditional photosheet. 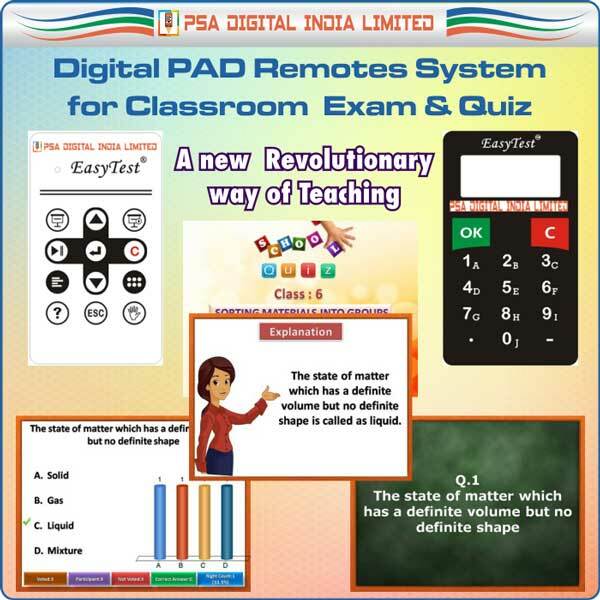 Digital PAD Remotes for Exam & Quiz : It is a new way of teaching. A school quiz and Classroom Exam can be a great way to teach students about certain subjects and test their knowledge. You may conduct a quiz that focuses on learning, such as spelling or a quiz that tests students on several subjects, such as math, science, and social studies etc. It gives instant results after the Classroom exams and Quizzes. With this system we provide class 3rd to 10th all topics exam series according to NCERT syllabus. School's Website Development and Hosting : We design attractive and responsive full features website for CBSE schools and host them on secure, reliable and fast server at very nominal cost. 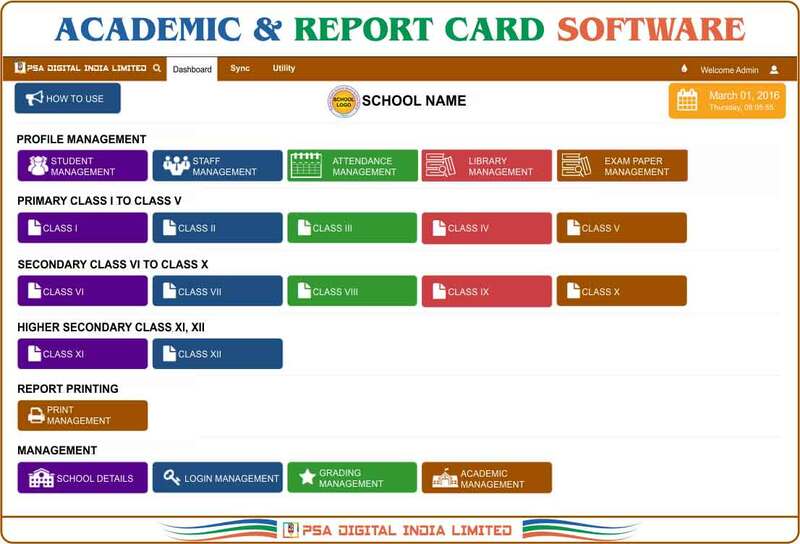 Report Card & Academic Management : It is Desktop based Report Card software from class I to XII has been developed as per the new CBSE Guidelines. You can manage Student Data, Staff Data, Exam Time Table, Exam Entrances Card, Subject wise Syllabus. It is user friendly. We can customize class wise different marking structure and reports in this software according to your need i.e. Class Nursery to UKG, Class 1 to 5, Class 6 to 10 and Class 11,12. You can print and download various types of reports and graphical performances. 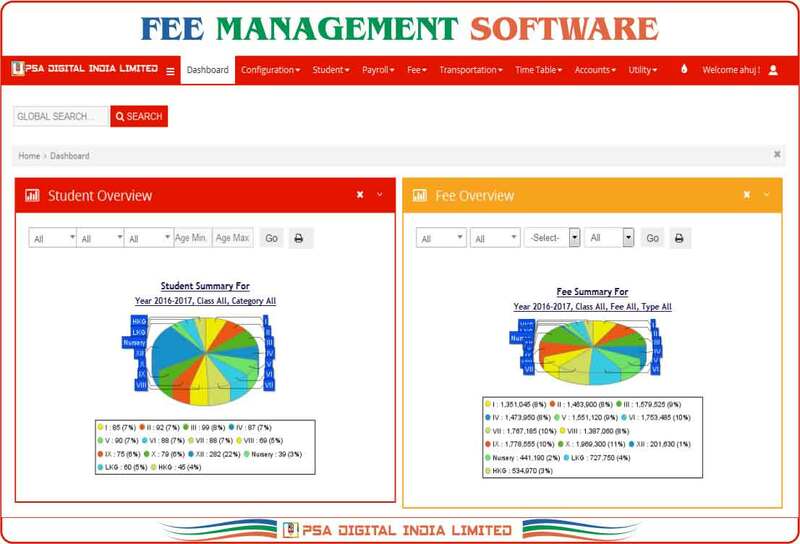 Fees Management : You can manage Student Fees, Bus Fees, Hostel Fees, Any additional Fees. Fees automation is also available. 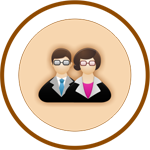 Payroll Management : You can manage and generate All Staffs Salary and reports i.e. TDS, PF, EPF in few clicks. 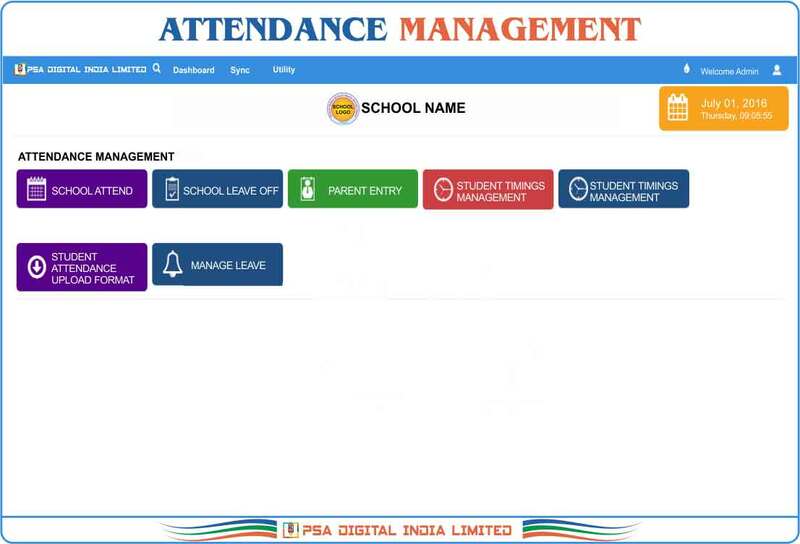 Attendance Management : You can manage Student Attendance and Staff Attendance through id card scanning machine, Generate Monthly and Term-wise Attendance report, Give SMS to parents regarding absent or present status of students. 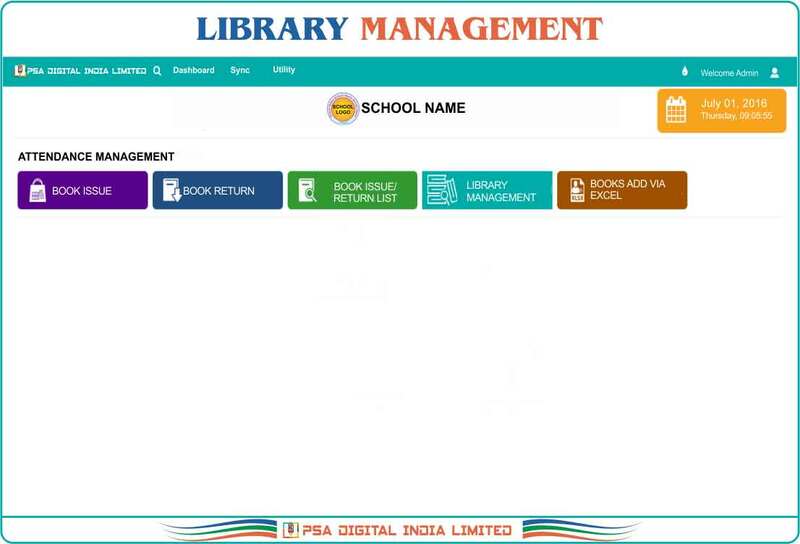 Library Management : You can easily manage the whole Library. Check the reports of issue books, return books, fines etc. Library automation is also available. 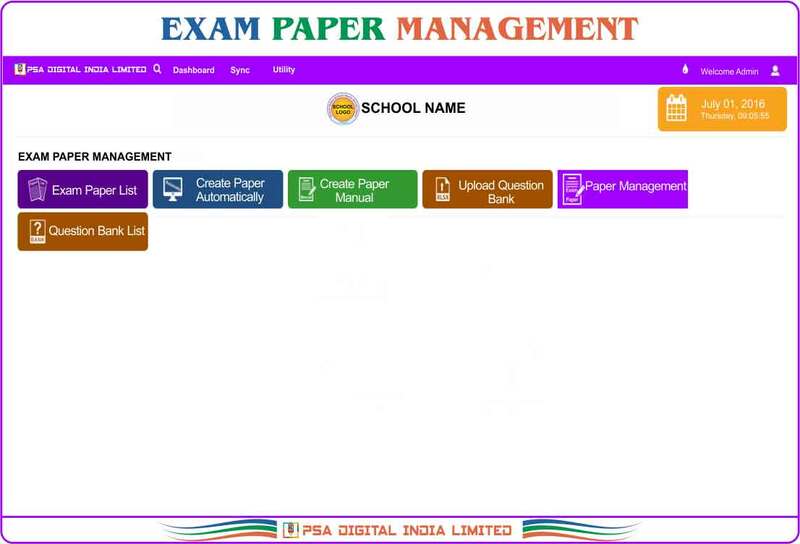 Exam Paper Management : You can create and manage Class wise various types of exams. Exams can be create with both automatic and manual system. In automatic system you can create randomly question paper and also create question wise various sets of the same paper. Digital Wallet (school's own mobile app) : You can online manage Homework, Graphical Performance of Students, School Notice, Teachers Notice, Holidays List, Leave Application, Student Attendance, Student Report Cards softcopy, Student all dues and paid Fees. Digital Wallet is link with our academic and fees software. So with one click Profiles, Attendance, Performance, Fees data etc. synchronize in Digital Wallet. In the wallet you can create online subject wise exam. Research shows that children do better in school when parents interact with teachers and become involved in the school. 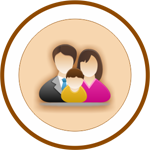 The parents need information about what and how their child is learning, and the teacher needs important feedback from the parent about the child's academic and social development. With this interact parents benefit from being involved in their children's education by getting ideas from school on how to help and support their children and by learning more about the school's academic program and how it works. Parents develop a greater appreciation for the important role they play in their children's education. But In today's busy day most parents only occasionally interact with teachers and on other side juggling papers, lesson planning and managing sometimes more than a hundred students, there is no enough time for teacher to interact with all parents. One another problem for both side is When's the right time to talk — and when isn't? The establishment of effective school-home communication has grown more complex as society has changed. In india most of the parents not fully familiar with email. So this medium of communication is also not sufficient for everyone. Now parents also want to know the performance of child in scholastic and co-scholastic areas, attendance status etc at regular interval at their home but currently no easier way that schools can apply. To teacher – parent's interaction and analyze student performance we bring an world class solution >> Our Digital Wallet (A school's own mobile App). Our Digital Wallet is designed to provide a number of facilities to teachers, students, parents and school authorities. Parents can interact with teachers and discuss all the issues regarding education of their child through digital wallet. Teachers can also send notifications regarding student’s interests, strengths and weaknesses. This one on one interaction will help parents and educational institutes bring out the best in a child. Our digital wallet linked with our Report Card, Fees Management & Attendance Management Software . So with one click from Desktop based Software, all data i.e. pariculars, exammarks, timetable, holidays, attendance, student fees (due & paid) automatically update in Digital Wallet. Due to this your lots of Digital Wallet updation work reduce. Our digital wallet is an analytical tool that analyses the scholastic, co-scholastic data that fill by respective subject teacher in our desktop based Report Card software and formulates useful reports. School can analyze subject performance of all the students. This will help them discover which subject needs improvement and further understand the cause of low performance. The digital wallet stores all preceding years’ data, Report cards and Certificates of all students. A comparative analysis of previous performance of the student with the present can help schools provide better quality of education to the students. Schools can also send notification regarding competitions, attendance and other activities to parents. A comparative chart regarding the year wise performance of student within an exam and subject wise yearly performance also available. A two-way communication is necessary for proper understanding and growth. 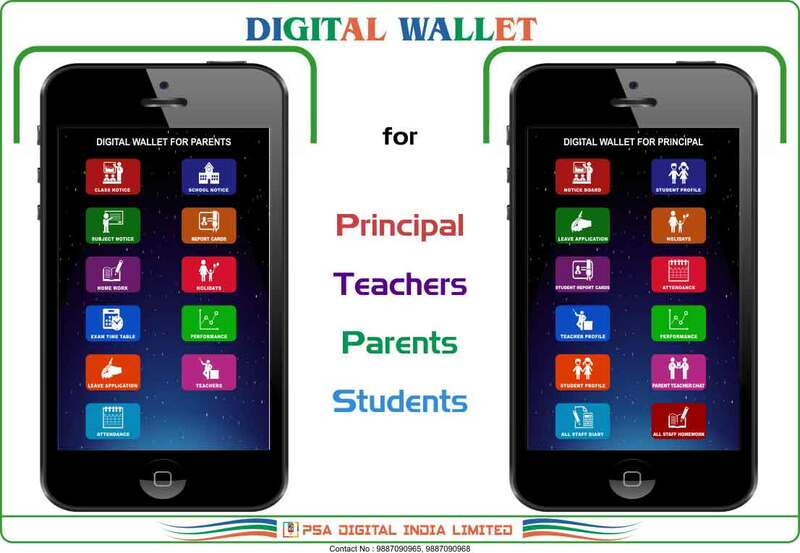 Therefore, parents can also interact with the school authorities through this wallet. 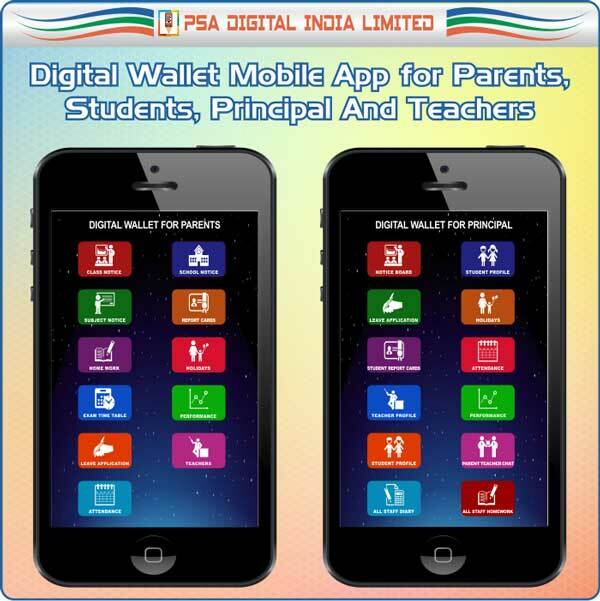 From class I to XII, parents can access wallet for viewing their child’s performance. They can also send messages to the school regarding any queries. Digital wallet is a development for improving children’s education by enhancing interaction between schools as well as parents and providing data driven decision support system to assist them in taking best decisions for their children’s future. Our solution aims at bringing transparency in the educational system of India. It is also playing a supporting role in the development of ‘Digital India’ programme. 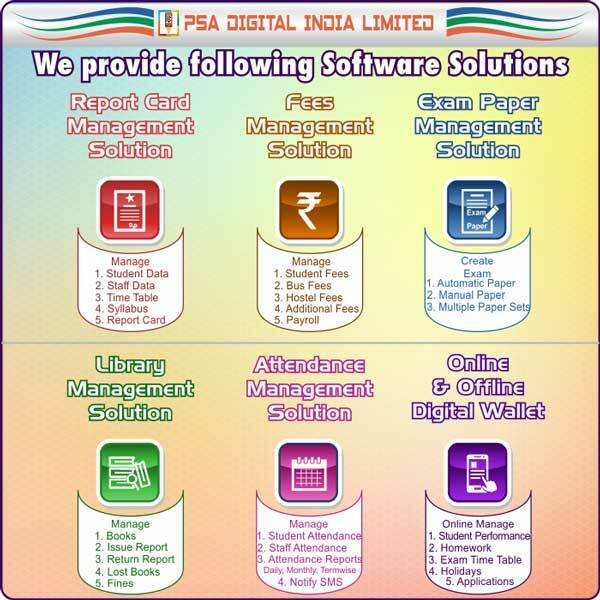 PSA Digital India Ltd. is a government certified limited company which provide softwares and printing services to Government and Private educational institutes in India. We bring a World-class solution for educational institutes, It has been evolved through a long phase of in-depth understanding of school's operations. Our Digital Solution comes with Digital Wallet, SMS and Email integration and it also have unique integration abilities which makes it usable by all level of schools. 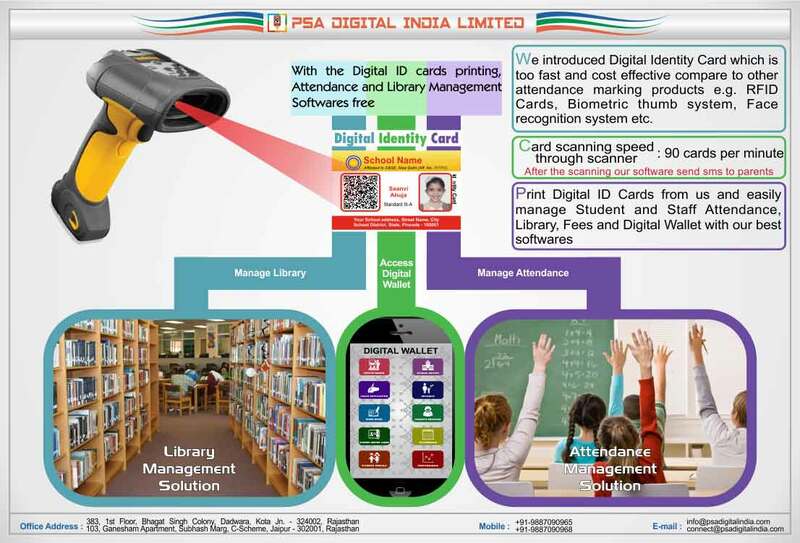 It also comes with Attendance Automation, Library Management using QR code based system that cheap, fast and reliable solution in comparison of RFID and other related systems. We also create and manage educational institutes websites on our reliable and secure server. To CBSE affiliated schools, we provide the printed Report Cards, Identity Cards, and other certificates according to CBSE guideline with digitization solution. Through our solution schools can play a supporting role in the development of "Digital India" programme launched by our Hon'ble Prime Minister Shri Narendra Modi. © 2018 PSA DIGITAL INDIA LIMITED, All Rights Reserved.